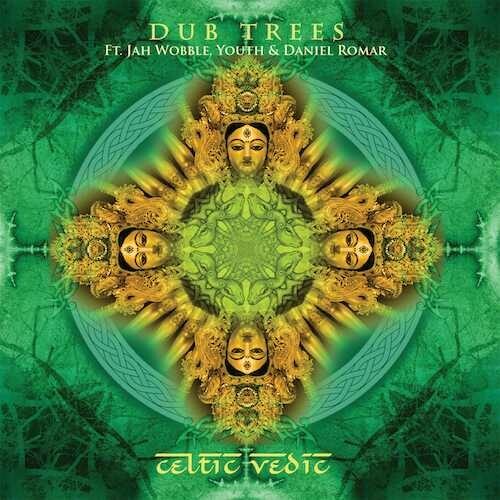 Dub Trees, the ambient dub collective led by legendary music producer Youth, happily announce the new album ‘Celtic Vedic’ on Liquid Sound Design. Dub Trees is one of Youth’s most revered dub projects, it helped define the Liquid Sound Design sound that fans around the world hold dear. Youth is joined by his long time heavyweight cohorts Jah Wobble (PiL) and Matt Black (Coldcut) for a welcome return to the cutting edge electronica that the Liquid Sound Design roster pioneered back in 2000. ‘Celtic Vedic’ came about after Youth was asked to headline the opening night at Ozora festival, Hungary in 2015. It features many field recordings made by Youth on his various Indian odysseys, and promises unchartered bass annihilation and heliotropic soundscapes. Pounding basslines are overlayed on 3D holographic beats and wrestle with serpentine melodies and psychedelic textures. Youth has assembled a host of collaborators to weave their labrynthine magic on ‘Celtic Vedic’: Jah Wobble on bass, Matt Black on warped soundscaping duties, Galician Celtic pipe and flute player Daniel Romar, Bollywood contemporary Indian singer Shridevi Keshavan and Elfic Circle (Celtic Bardic harpist Andrea Seki, Fabrice De Graef on bansuri flute and Catherine Dreau on tubaphone). The ‘Cerronnos Dub Rituals’ EP, which was released to acclaim by Dub Trees earlier this year, is now followed by the last piece of this mystical puzzle ‘Celtic Vedic’, which charts the journey of the Celt from Northern India to Snowdonia. The idea stems from Youth’s firm belief that there is a strong correlation between Celtic and Vedic cultures and their Northern Indian roots.